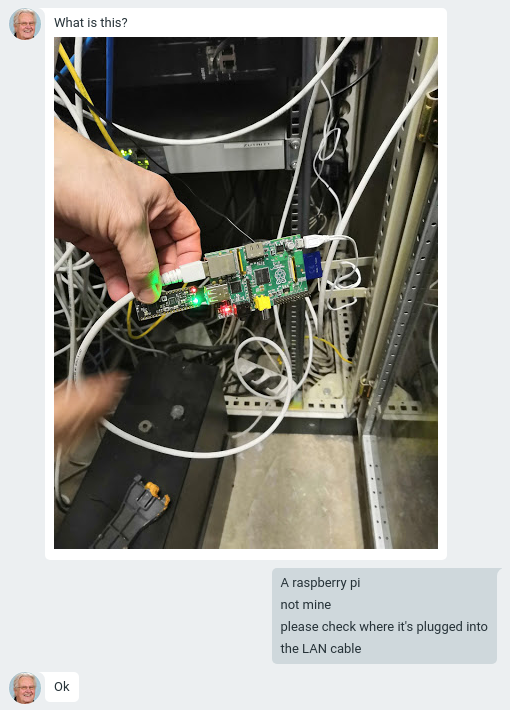 Last week I got a message from a co-worker notifying me there was a Raspberry Pi connected to our network. I asked my IT colleagues and they were as baffled as I was. I heard of people getting paid to put things like this in places they shouldn’t and for this reason I was very interested in finding out what it actually does.